AP Police Department has given Fresh Notification with 3000+ Jobs. 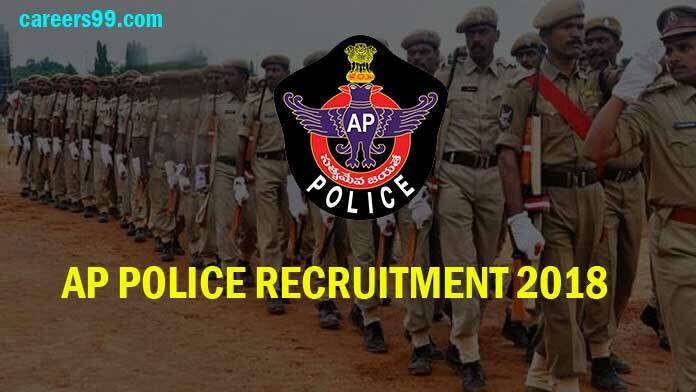 AP Police Upcoming Recruitment 2019-2020: Andhra Pradesh State Level Police Recruitment Board (APSLPRB) Recruitment Notification 2019: 2500 SI & Constable Posts Download Application at slprb.ap.gov.in | AP Police will soon issue Notification regarding SI & Constable Job Openings. Eligible Candidates can Check complete details by Downloading Application Through Official website slprb.ap.gov.in | Andhra Pradesh State Level Police Recruitment Board (APSLPRB) Recruitment Selection Process, Syllabus, Age Limit, Eligibility Criteria, Exam Fee, Application Processes, Andhra Pradesh State Level Police Recruitment Board (APSLPRB) Admit Card Date, AP Police Exam Date, SI & Constable Result Date and Andhra Pradesh State Level Police Recruitment Board (APSLPRB) Last Date Details Given below in this website careers99.com. You are requested to Check before Applying Online. The Application edit option will be available till 8 PM today (December 12, 2018) Only. Candidates who need to make changes in sections not allowed will have to first send the email with supporting documents to the board. Note: This Article will be Updated according to fresh content. So keep viewing this post regularly. for AP Constable – The candidate must hold, Intermediate or its equivalent examination recognised by the State Government. In the case of a candidate belonging to Scheduled Castes or Scheduled Tribes, he/she must have passed SSC or its equivalent examination recognised by the State Government and should have studied Intermediate and appeared for the Intermediate Examinations in both the 1st year and 2nd year. for Home Guard / Computer Operator / Programmer Driver – Candidates should have passed 7th Class or equivalent examination as on date of notification & valid LMV/ HMV (licence issued by Govt.). Selection will be based on their performance in Preliminary selection Test, Physical Efficiency Test (PET) and Written Examination. SCT Sub Inspectors (SI) of Police Civil – Men Height – Must not be less than 167.6 cms. Chest – Must not be less than 86.3 cms round the chest on full inspiration with a minimum expansion of 5 cms. SCT Reserve Sub Inspectors (SI) of Police AR – Men Height – Must not be less than 167.6 cms. Reserve Sub Inspectors of Police SAR CPL – Men Height – Must not be less than 167.6 cms. SCT Reserve Sub Inspectors of Police APSP – Men Height – Must not be less than 167.6 cms. Reserve Sub Inspectors of Police APSP (Men) in 15th Bn., APSP Height – Must not be less than 167.6 cms. Sub Inspectors (Men) in Special Protection Force (SPF) Height – Must not be less than 167.6 cms. Station Fire Officers (SFO) in A.P. Fire & Emergency Services Height – Must not be less than 167.6 cms. SCT Police Constables Civil – (Men) Height – Must not be less than 167.6 cms. SCT Police Constables AR – (Men) Height – Must not be less than 167.6 cms. SCT Police Constables APSP – (Men) Height – Must not be less than 167.6 cms. Constables (Men) in Special Protection Force (SPF) Height – Must not be less than 167.6 cms. Firemen in A.P. Fire & Emergency Services Height – Must not be less than 167.6 cms.